I suffer from Intention Deficit Disorder. The best of plans fall short, come off half-baked, or if successful, the credit always goes to someone else. After the bottom fell out of the fortieth rebuild on my life a few years ago, I’ve been figuratively sitting in the last row of the theater watching life pass by. Sighing a lot, I’ve noticed a nasal whistle-like sound as I exhale. I was born into a stress filled life and have never been able to shake it. I wake to a belly tightened by adrenaline and force myself to inhale. Anxiety causes difficulty breathing. Most times I’m not aware I’m holding my breath as if I were trying to slow the forward forces of life while I figure out my next do-over. My last ‘life’ ship took ten years to build and sank with several irreplaceable portions within four short months. After a five-year dry land existence. I’m building a new ship. Most likely. this one will always be a leaky work in progress. Perhaps I’m just feeling time running short. I’ve lost competitive and marketable skills. Creatively and financially when something goes kaput it’s a long time before a replacement comes along. The strength to move obstacles just doesn’t exist. As change creeps in, time heals, even if the scars remain. I’m gradually learning it’s necessary to inhale and exhale even during times of tension. A boat will break its bonds if kept tight at all times. Line allowed to give against the pressure of the water will keep the boat in place. I stood in the rain on a rural highway bridge over the Fox River in Marquette County, Wisconsin. My husband waited patiently in the car while the property owner looked on (I told him I envied his bit of heaven). I took a few pics with my pocket camera. When I processed the wetlands photos this one left me breathless. Please leave a few words and let me know, did you inhale or exhale? 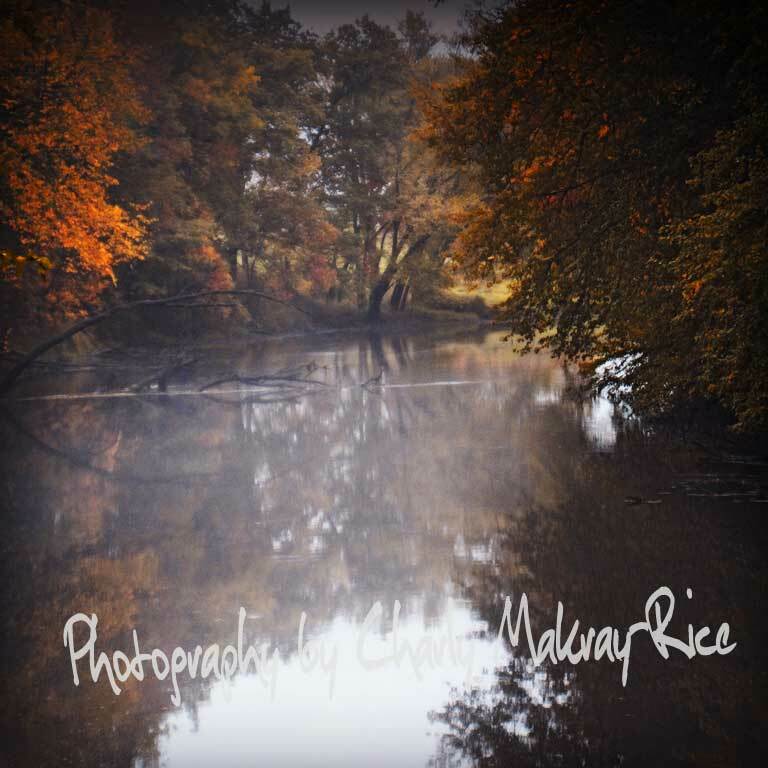 Posted on 10/07/2013 01/27/2015 by Charly Makray-Rice	This entry was posted in Daily Prompt, Essays, Humor, Marshes, Nature, Photography, Wetlands and tagged aging, anxiety disorder, autumn, colorful, Columbia County, daily prompt, essay, fog, Fox River, healing, humor, landscape photography, Marquette County, misty morning, nature, photo blog, photography, road trip, rural life, starting over, Weekly Photo Challenge, wetlands, Wisconsin. Bookmark the permalink. ← Good morning, John Muir. The National Parks are closed. It’s been recommended that I try yoga or Tai Chi, but controlled breathing creates more anxiety in me. I find my horse has the greatest calming effect on me. Stress dissipates while I breathe in time with the horse as she seeks my rhythm to assist in her relaxation. My center, for a few hours a week, vibrates in harmony with her sweet, warm breath against my hand or face. Thanks for stopping by again, Dorothy. Beautiful image Charly. Hang in there. Thank you, Robert, for the encouragement. It helps a lot while I go through the should I, could I, would I, period of discovery. It’s tough to beat. When asked to relax, or exercise, I get worse. No wonder my muse(s) leave home so frequently. Om becomes ACK! i inhaled, Charlie. and then i remembered to exhale, and inhaled again, because the clarity of light in the picture, the water, was so beautiful, so calming. i hate it when people advise ‘relax’ – it has the opposite effect. you mentioned somewhere as i’ve been wandering around your site this morning that you were ‘born in stress and couldn’t shake the habit’. sometimes this lack of reflex to breathe comes instilled in us from the moment of birth, if as small ones exiting our mother’s wombs we didnt breathe until the nurse slapped our baby bodies on the back. There’s no nurse to slap our backs now, so we have to retrain ourselves and release that infantile experience. I’ve tried to retrain myself many times, but sometimes i still have to remind myself to breathe. breathing deeply from the abdomen forces a lot of oxygen into the body, its good for stress. just puff out your abdomen and let the good air come in. i love the combination of gorgeous photography and heartfelt, well crafted words on your blog. and the grey background just makes all the colour of the pictures and the meaning of the words come to life.